Attorney and plaintiff Justin McShane. A Dauphin County judge has ordered Harrisburg to stop enforcing three of its gun-control ordinances, while leaving two others in force. Judge Andrew H. Dowling, in a 12-page opinion Wednesday morning, found that the three ordinances—prohibiting gun possession in a park, by a minor and in a mayor-declared state of emergency—violate the state’s Uniform Firearms Act, which preempts certain local government ordinances regulating firearms. The act forbids municipalities from regulating the “lawful ownership, possession, transfer or transportation” of guns and ammunition for purposes that are not considered illegal under state law. Two other city ordinances, requiring owners to report the loss or theft of guns and prohibiting the discharge of guns within city limits, do not overstep the bounds of state regulations and can therefore remain on the books, Dowling wrote. The order partly granted and partly denied a request for a preliminary injunction by the plaintiffs in the case, the gun-rights organization U.S. Law Shield and two of its members. Under a preliminary injunction, which is an extraordinary measure issued prior to a final determination, a judge finds that plaintiffs have a right to relief from a present harm and that they will be ultimately likely to prevail. Dowling’s order is the latest development in one of two lawsuits filed against the city this year, after the passage last fall of a state law granting standing to membership groups to sue municipalities over their gun-control ordinances. Under pressure, a number of cities and towns repealed their ordinances, but several others, including Harrisburg, decided to fight back. U.S. Law Shield, whose mission, according to its website, is “preserving 2nd Amendment rights for all legal gun owners in our country and ensuring legal representation” for its members, filed its complaint against the city on Jan. 13. Another group, Firearm Owners Against Crime, filed a complaint Jan. 16. That suit, which raised a question regarding owners’ rights under the U.S. Constitution, was removed to a federal court last week. Both suits were brought on behalf of the groups as well as certain of their members, some of whom are Harrisburg residents and some who are not. Harrisburg also argued that Act 192, last year’s state law amending the Firearms Code, was unconstitutional. Dowling declined to rule on this issue, saying constitutional questions are the purview of the Commonwealth Court. The city had additionally asked Dowling to stay the proceedings until a decision was reached in a complaint filed by three other Pennsylvania cities—Philadelphia, Lancaster and Pittsburgh—challenging the law’s constitutionality. Dowling declined to do so, however, saying the “timing and effect” of a Commonwealth Court decision was “uncertain.” The state preemption clause, and not the constitutionality of Act 192, was at issue in the present case, he added. On Wednesday afternoon, attorneys with the McShane Firm, the law firm representing U.S. Law Shield, celebrated the ruling at a press conference at the firm’s Susquehanna Twp. offices. 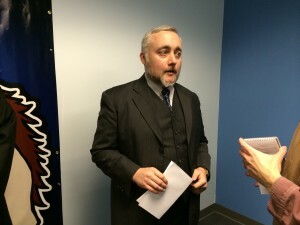 Justin McShane, an attorney as well as a U.S. Law Shield member and individual plaintiff in the suit, called the ruling a “great victory” and urged Harrisburg officials to stop spending money on a “dead loser” of a lawsuit. 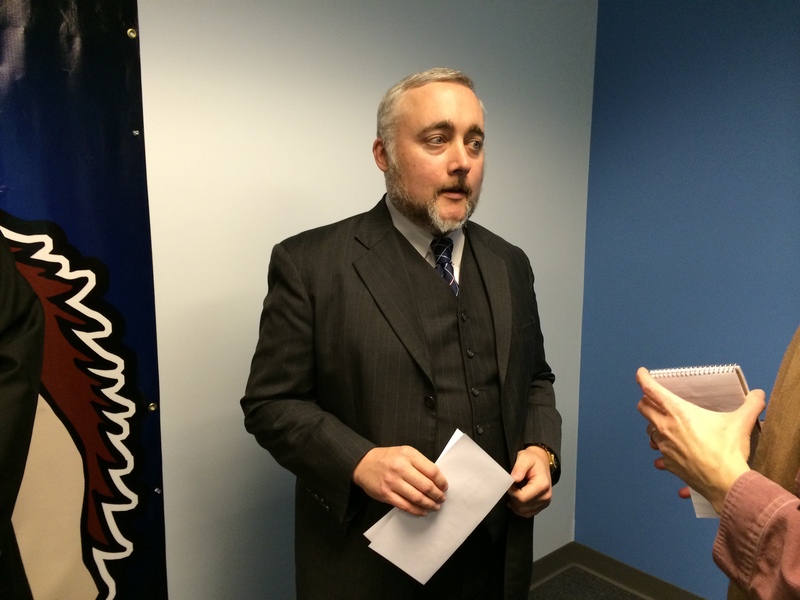 McShane said his firm’s legal fees, which Act 192 would oblige the city to repay, are “approaching six figures.” Harrisburg Mayor Eric Papenfuse should “simply wake up” and “stop being Don Quixote,” he added. Papenfuse, reached Wednesday afternoon, declined to give detailed comments on Dowling’s opinion, saying he had been preoccupied with a long meeting about parking enforcement and had not yet had time to review it thoroughly. He did say, however, that he believed Act 192 would be found unconstitutional, and added he was “disappointed” in Dowling’s decision not to stay the proceedings until the Commonwealth Court had a chance to rule on the law. Other aspects of the ruling, such as the leaving in place of the reporting and discharge ordinances, he said he found “encouraging,” however. McShane, however, described the ordinances as ineffective “feel-good laws” that had no meaningful impact on the use of firearms by criminals. 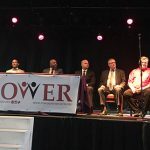 Dowling then suggested that the city might more effectively use community policing to fight gun violence and that such violence has societal causes that Harrisburg may not be able to combat. “Instead, gun violence is associated with a confluence of many risk factors including mental health, decline in parenting and values, violence depicted in movies and other sociocultural factors,” he wrote. To read Judge Dowling’s order, click: Judge Dowling Ruling, Feb. 25, 2015. This story has been updated with an additional information explaining that the judge’s ruling is a preliminary injunction and not a final determination, as well as an additional quote from Mayor Papenfuse.